Put a palm branch on your front door on Palm Sunday and leave it there all week for a witness. 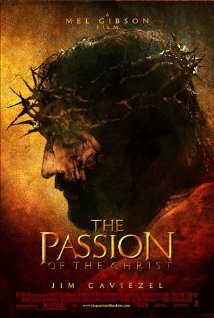 Watch The Passion of the Christ movie. Clean out a closet or a drawer in remembrance of Passover (leaven was to be removed from houses in preparation). A dear friend told me about her tradition of taking home a branch from the Palm Sunday decorations to place on her door during holy week. I followed her lead. To me the branch represents victory and triumph and hope for the future kingdom of peace. The palm branch is beautiful and green when I press the tack into it to secure it to my front door. By the end of the week it has become yellowed and dried, a bit symbolic of Jesus vital life being snuffed out in the prime of His life. I hope this visual is a witness to my neighbors as they pass by and see something different at my house. I’d like to think the outward sign reveals the heart of the home I share with Sweet William, the atmosphere that comes from the presence of Jesus, the Prince of peace. The first time I saw The Passion, I cringed at what I saw on screen, the meanness, the beating, the cruelty of those who arrested, tried, and crucified Jesus. It was more real than I had ever seen or could have imagined. My mind reels at what Jesus did for me. I try to watch The Passion once a year during this season. I can only bear to watch it once a year. I see myself in the characters of the story, people like Judas, Peter, and Mary Magdalene. A betrayer. A deny-er. A sinner. What I saw in Jesus’ eyes in this portrayal was love and longing and an offer of forgiveness. I am convinced that is an accurate representation of His response. How could he love me when I’ve failed Him so often? Why does He long to be my friend and offer His sweet fellowship? How can He forgive me again and again? And again. I don’t know the answers. I only know He does. He was passionate to do the Father’s will, to complete the plan, to die in my place. He is the Savior I needed. The Lover of my soul. The High Priest who always intercedes for me. He is Jesus. Before Passover begins, Jewish families make a thorough cleansing of the house to remove all leavening agents, whether it is cookies or bread or baking powder. During the Passover meal and for seven days thereafter, nothing containing leaven is to be eaten. This is the Feast of Unleavened Bread as told in Exodus 13. Jesus warned His disciples about the leavening of the Pharisees, their pious self-righteous attitude that made them think they were better than others. Jesus’ constant reminder was to serve, to think of others first, to stop trying to get the first place. He lived out the principal for three year and washed feet at their last supper together, showing He meant what He said. Cleaning out a drawer or a closet isn’t going to make me more humble. But it can be a reminder that I need to consider what clutters my heart and my life. I can gather hurt and unforgiveness, pride and selfishness very quickly. If I don’t examine myself, those things can become corrupt in me. The corrupting influence of leavening must be dealt with. I need daily cleansing from the precious blood of the Lamb. With any clean space, I want to be careful what I put in it. I’ll take faith, courage, peace, love, joy and the gifts God offers. Wash me, Lord, and I will be cleansed from my sin. Fill me with Your presence. Cooking as a family can be fun, educational and even a little spiritual. Making Resurrection Cookies together gives the adult an opportunity to tell the story of Jesus death and resurrection to a child with the best object lesson ever – something that can be eaten later. Tomorrow I will post the recipe and more information. Think about a child with whom you can share this activity. It will be well worth the effort.